The Billy Graham Evangelistic Association has launched an intensive 12-part online training course. The School of Evangelism Online is made up of four separate courses looking at preparation, proclamation, power and preservation. The courses draw on 60 years of evangelistic outreach and include sermon messages from Billy Graham, as well as introductions and details from Franklin and Will Graham. Video resources feature respected Christian leaders like John Stott, Ravi Zacharias, Ron Hutchcraft and Greg Laurie. You can browse more latest Missionaries News Updates Here!!! "God has blessed the BGEA through the decades and given us the opportunity to proclaim His love, forgiveness and hope to multiple generations," said BGEA Vice President Will Graham, who oversees online training. "As we've focused on this one singular mission, we've developed a wealth of information and practices that we are excited to offer to others who desire to make an impact in their community." School of Evangelism Online will give participants practical strategies for proclamation evangelism, with an emphasis on evangelistic preaching and preparing their churches for follow-up with new believers. "For years we have held Schools of Evangelism around the world, but we also recognise that many people don't always have the money or time that is required to travel a great distance and sit in a classroom for several days in a row," said Graham. "We're always seeking ways to utilise every effective means available to us to spread the Gospel. 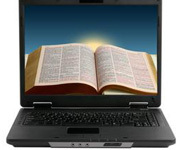 The Billy Graham Online Evangelism Training programme helps us make the information more accessible and meets a great need for those who haven't been able to attend one of our previous schools." Browse Beautiful World Heritage Sites. More Missionaries News Updates Click Here!! !